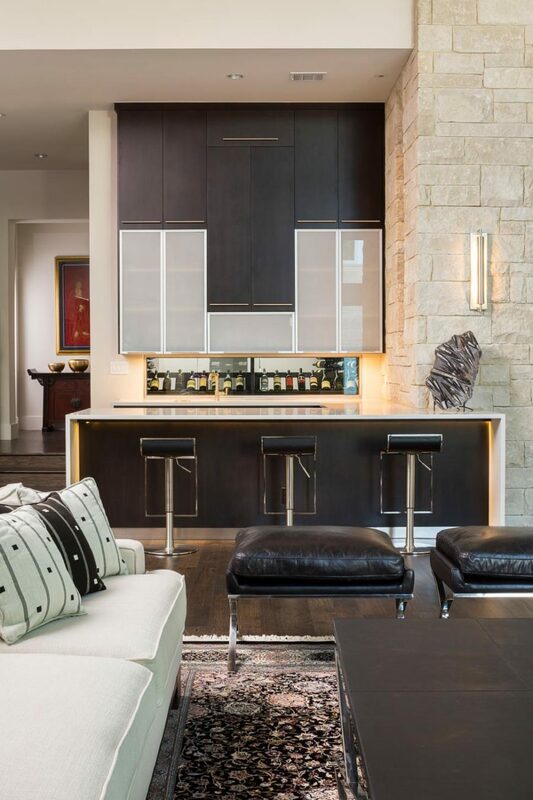 Whether you want to entertain guests or recreate your favorite place, where you can sit and relax after a long day, a home bar makes perfect sense as a way to do both. And since the contents of the bar are a little more important than its look, you don’t even have to give up that much space to set it up. It, however, doesn’t mean that your small, mobile bar can’t look chic and stylish. 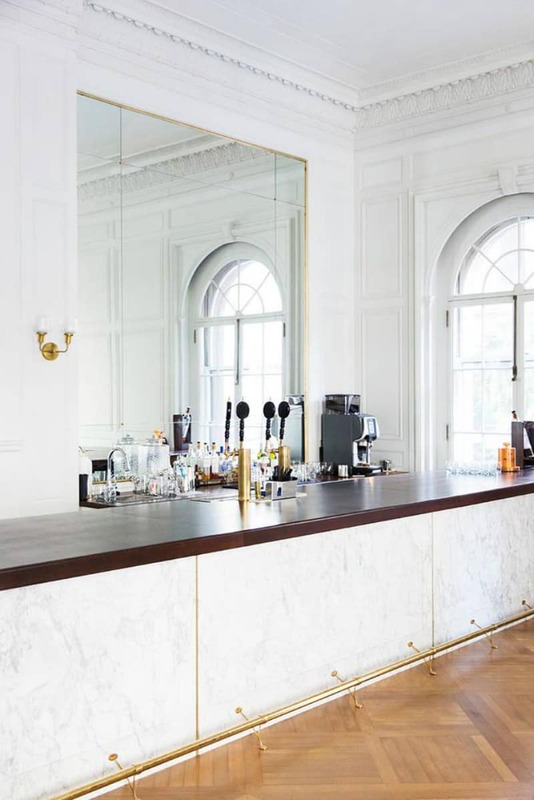 Here, let these chic home bar designs convince you. 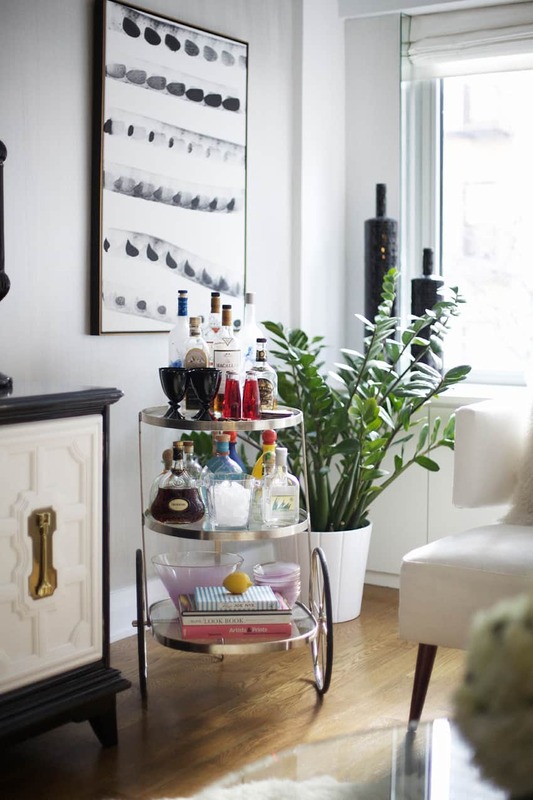 Even the simplest, most utilitarian-looking cart can make a chic home bar on wheels with a bit of styling and the right context. This round cart on big wheels doesn’t even have any additional accessories. Colored glassware is all the accents it needs, while the spirits do the rest. A few books break the continuous crowd of glass, rendering the cart more decorative. 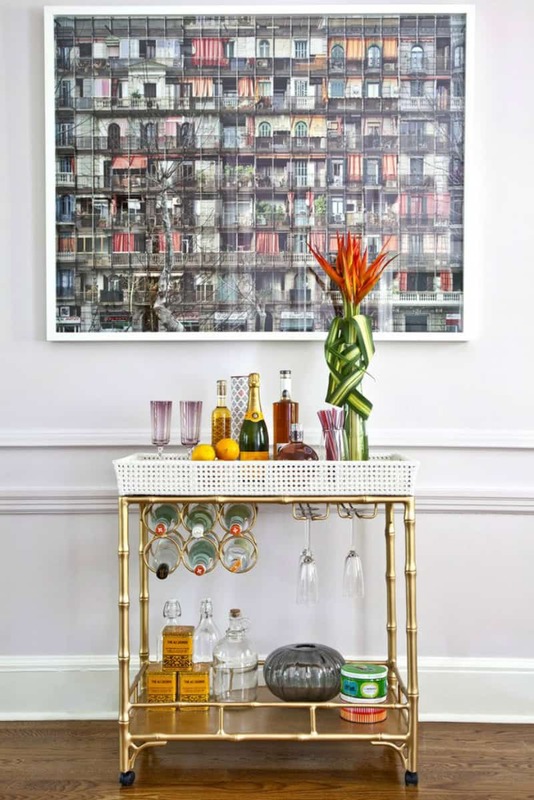 It’s even easier setting up your home bar with a decorative cart because it practically decorates itself. You may add a flower vase to the picture, but it will not drastically change things. Specialized bar carts feature bottle and glass racks for easier organization, which also makes styling virtually effortless. 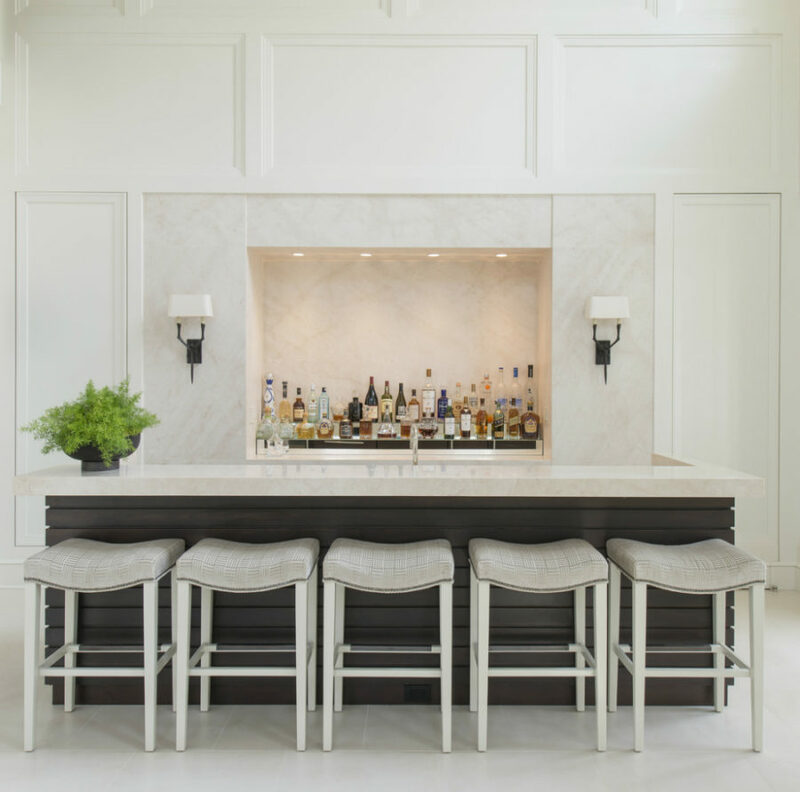 If you want a bar that stands out, don’t pick up just any cart, look for something more designing, something that would bring character to the room. 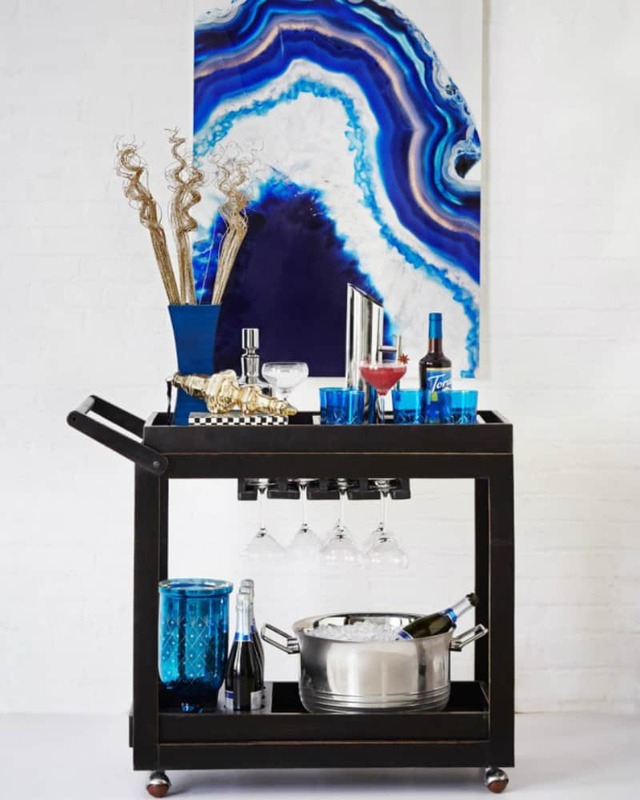 Just like any other furnishing, bar carts have gone through a lot of design changes, so it’s not as difficult to find the one that looks different. 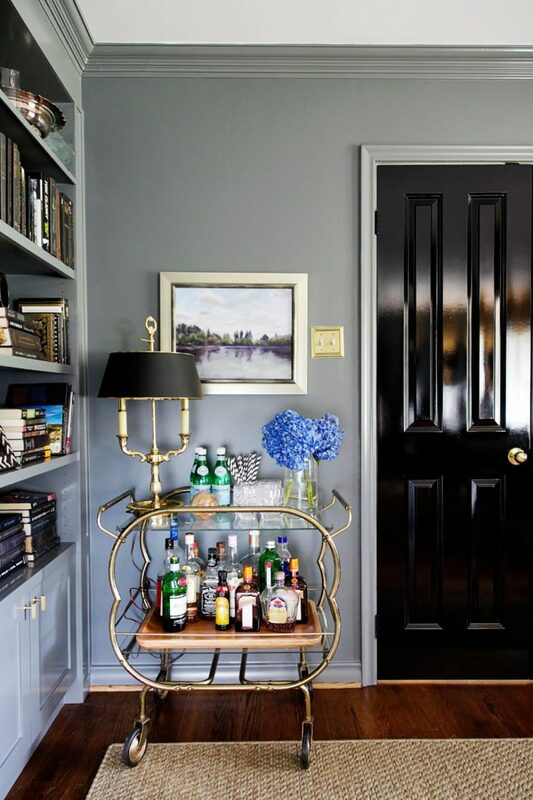 Again, bar cart styling may turn even the most unassuming design into a dream home bar. Here is a great example. A retro cart with blue glassware that echoes the background artwork. It also boldly mixes steel and gold accents that only enhances the multi-layered decor, which looks simple and complex all at the same time. 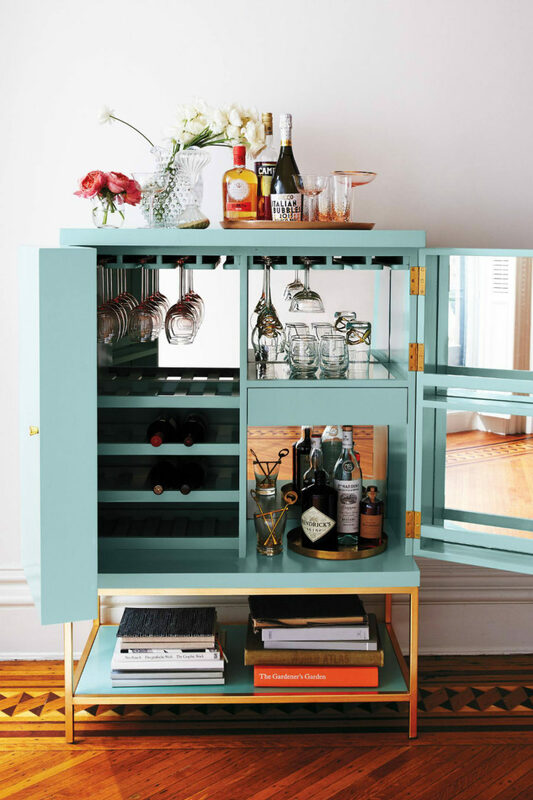 Some carts are just meant to become chic home bars. 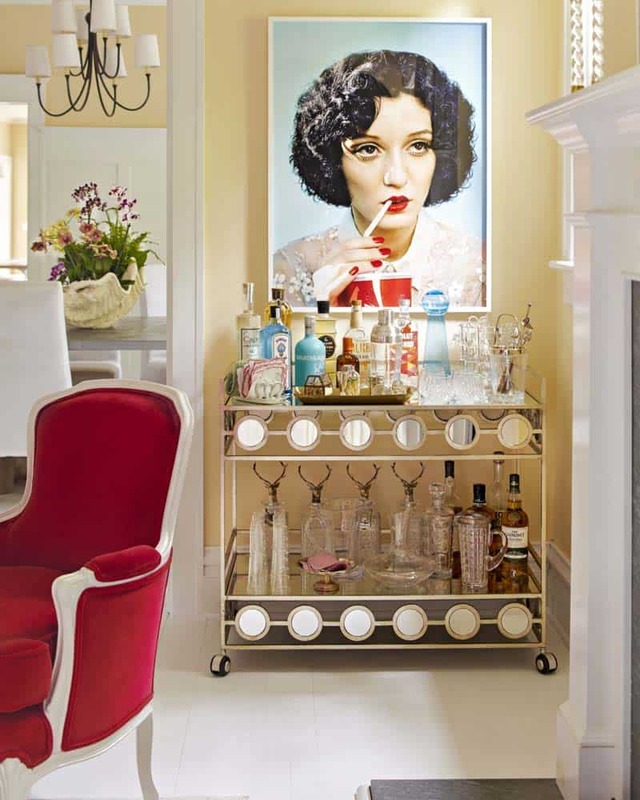 Mirrored accents add a luxe vibe to this cart, and the vintage glassware amplifies the Art Deco style. As you may have noticed, a cart or console can make a great base for a mirror, artwork, and all kinds of wall decor. We say, take this opportunity to be bold and daring. While carts are great at displaying things, cabinets will provide you with a degree of discretion and restricted access (for kids benefit). 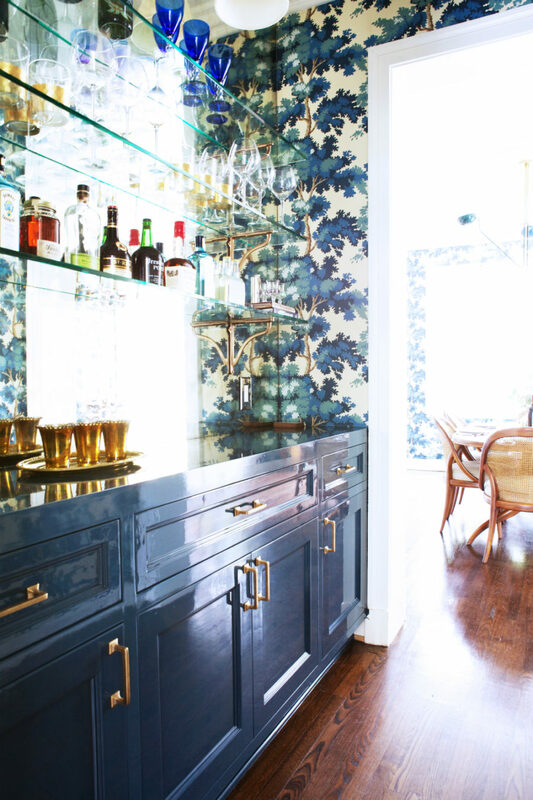 Bar cabinets are no less beautiful and decorative, though. And they come in different sizes. 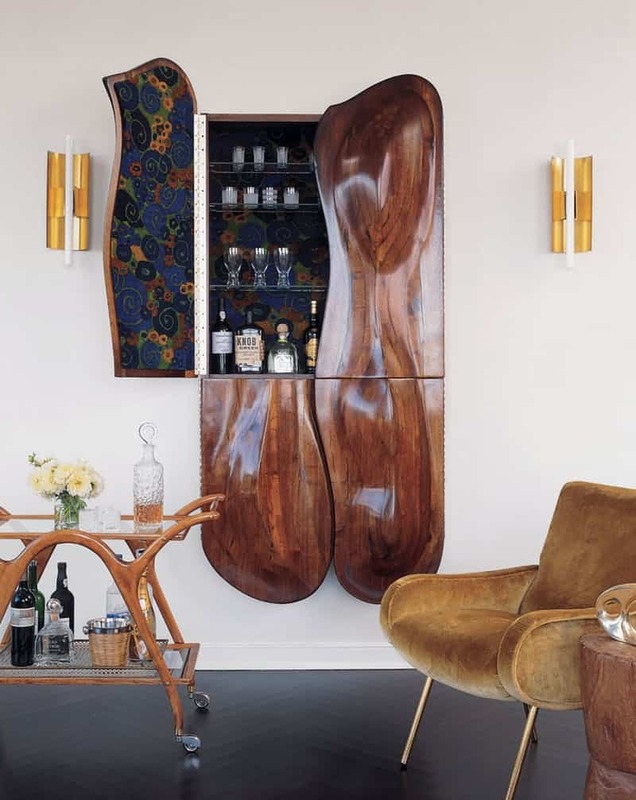 When closed, they may look like something else, especially if they have open shelves like this Anthropologie lacquered bar cabinet that disguises as a bookshelf. 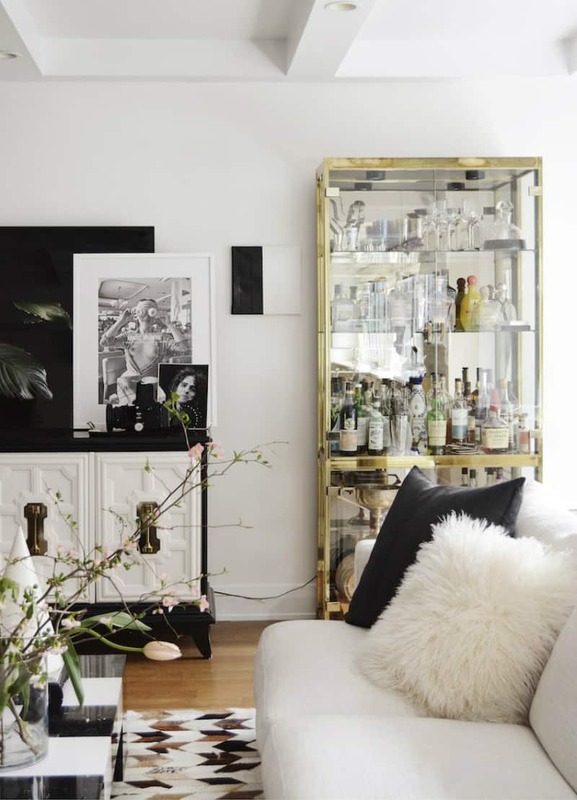 If you don’t need discretion, a beautiful glass cabinet in a brass frame will definitely bring a heavy dose of glamour to your contemporary living room, and help show off your taste and glassware collection. Take note of how well brass stands out in a black and white interior and how luxurious the decor looks with it. One of the virtues of an inbuilt wall cabinet is that it may look like this lot by Phillip Lloyd Powell. Its gorgeous doors bring a trendy live-edge feel with them. And when it’s closed, it disguises really well, appearing like a wall sculpture. It’s also a great idea for small homes, where every inch of floor space is too precious to clutter it with specialized things like a bar cabinet or even a cart. If you can’t help picturing a counter every time you think of a bar, there is a way to pull off a small living room design featuring a counter still. This zesty home bar was designed to occupy a corner in a living room, and enhanced with mirrors on almost every surface including the counter itself. Shelves are arguably the most space-saving furnishings. But in a bar you’ll most likely require a cabinet or a mini cooler as well. This is a better option for homes with awkward niches and alcoves that could house a few shelves and a lower cabinet. This type of bar can also benefit from styling. A piece of wallpaper can go a long way. You can use it to outline your cabinet from the inside or create a feature wall for your shelves. 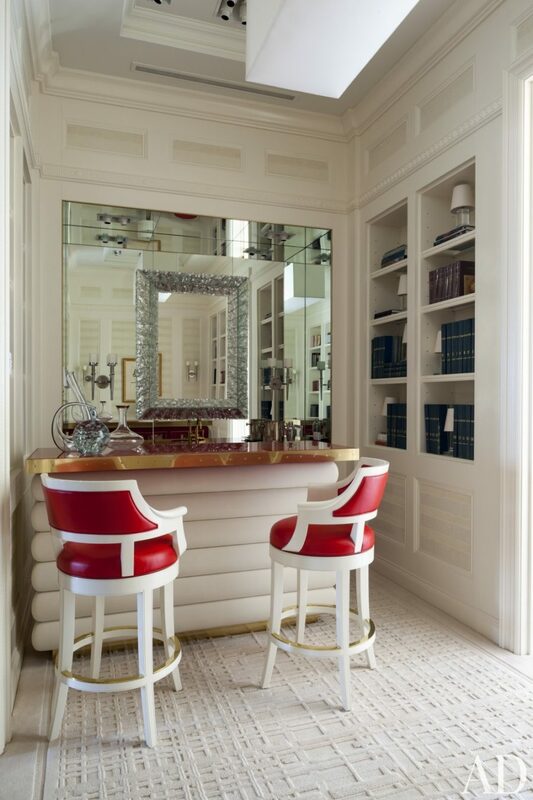 A mirror backdrop will visually enhance both the bar and the space it is set in. 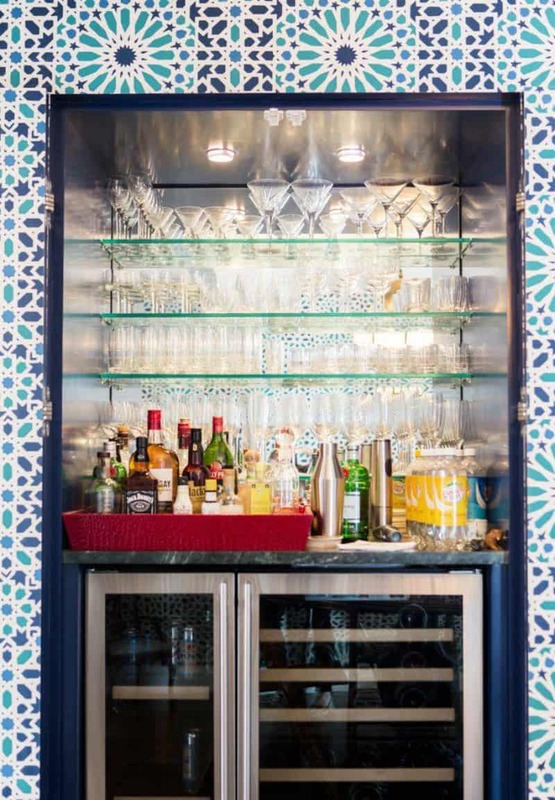 In the kitchen, patterned tiles make for a much more intriguing background for bar shelves. An additional perk of having them in the kitchen is that you get a bar counter with a coffee machine and snacks at the tip of your fingers. 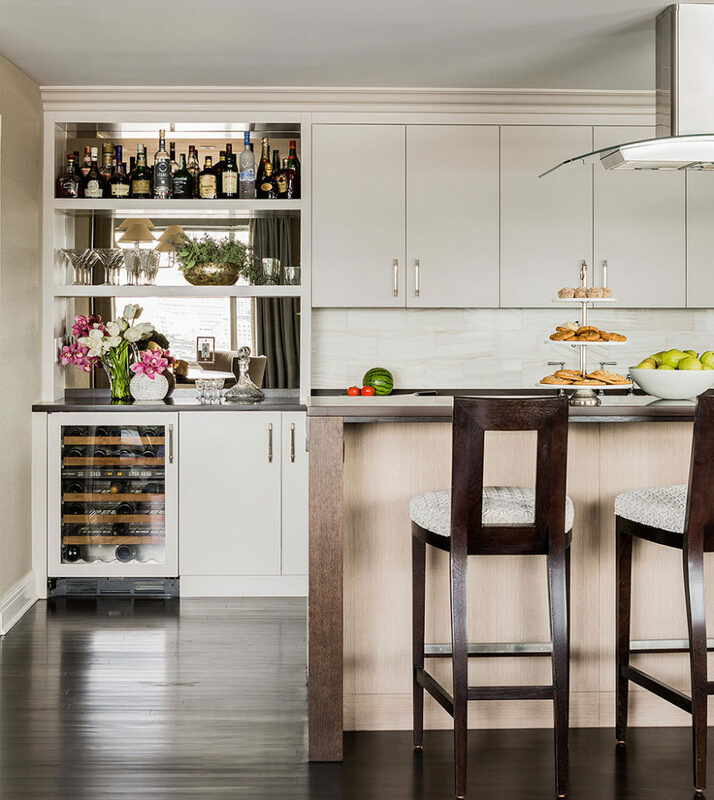 If you’re designing your kitchen with a home bar in mind, you could try blending the styles and materials to try and achieve a look that is somewhere in between the two. Always opt for the glass shelves in compact spaces. They will make for an airy look. But if you want your bar to have a little character, you can still add a piece of wallpaper to the side walls. In this home bar, the green accent wall works well with brass hardware and magenta blooms that echo the bottled drinks. If you’re committing to the bar counter, you might as well go with an unusual shape or design like this retro beauty in the house of Hope & Faith writer Victoria Webster. The rounded steel-topped counter has a sink, but its decorative design negates the hardware look, and brings a certain Art Deco flair to the interior. In this library, that doubles as a home bar, a high steel-based table replaces the traditional bar counter. 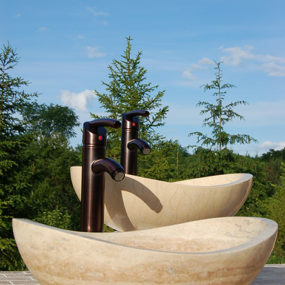 And although it lacks a sink, the less costly design looks ultra luxurious and chic. Combining a library and a home bar is an interesting idea, although not a new one, as a bar element has often been an element of a home office. Since a bar counter hides the half of your bar, it better look great. 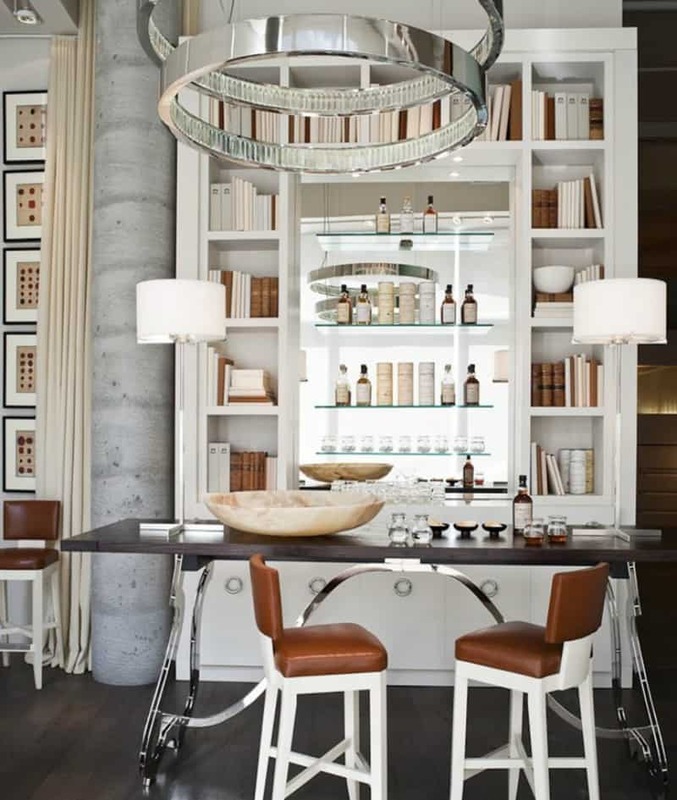 In this Steve Wynn New York apartment, a small library bar gets a futuristic vibe from its statement counter contrasted by Gregorius|Pineo red leather stools. 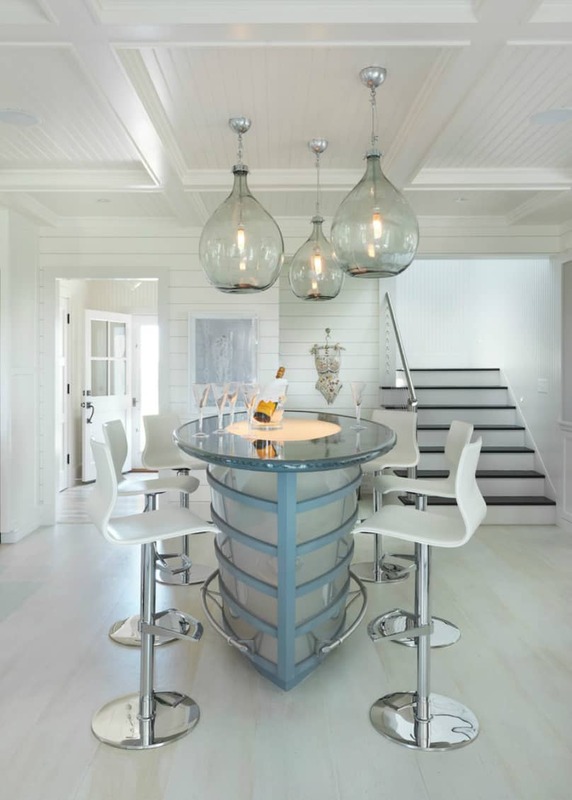 This is another example that proves that gold and silver do mix, especially in home bar designs. Just make sure that only one of them has an intricate texture. If you have space galore and crowds of friends, a big bar counter is in order. It can also double as a kitchen island and a coffee station. You can hide all the pots and pans under the counter when the guests arrive to create a clean look that appears entirely like a home bar and nothing else. 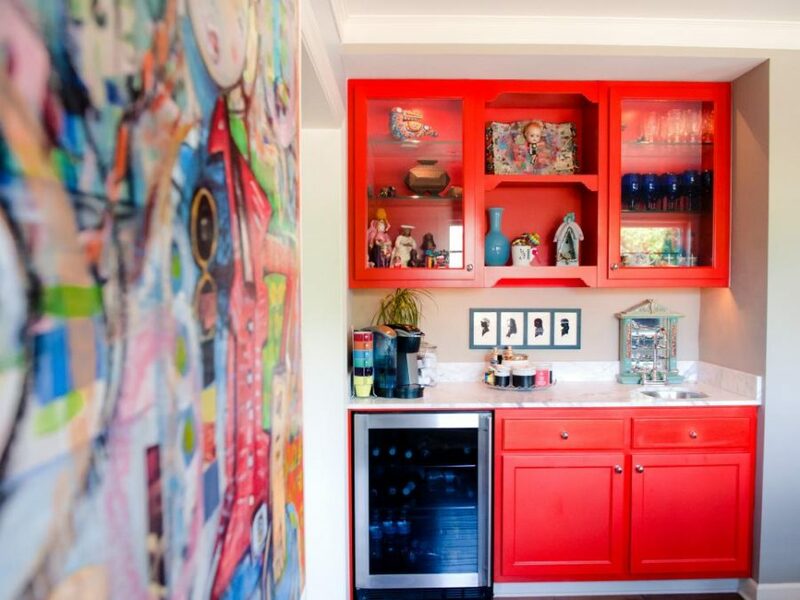 A home bar feature wall makes all the difference in the world between a furnished home bar and a well-designed one. It doesn’t have to be anything fancy. Patterned wallpaper is relatively cheap, and offers a lot of options in color and texture. 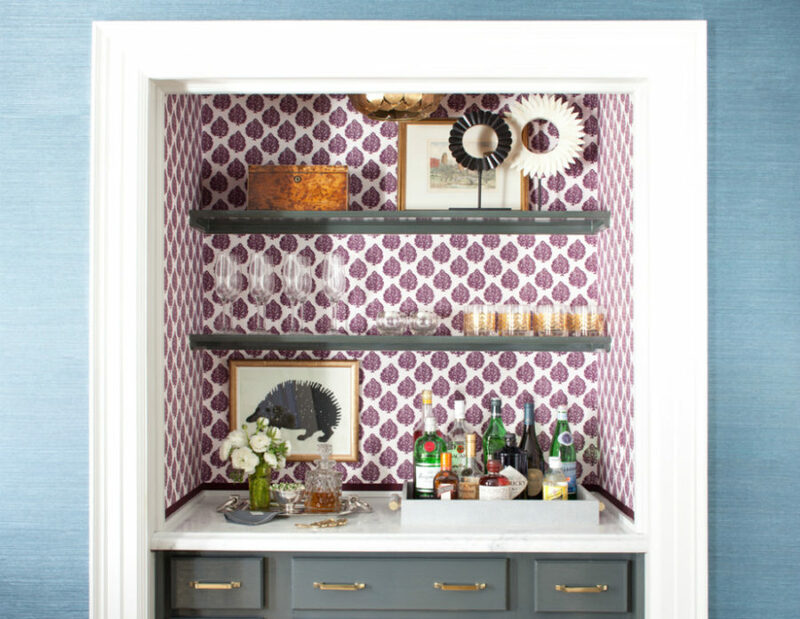 Henry & Co added a few framed pictures to this niche home bar wallpapered in a purple pattern, and finished off the shelf decor with a wooden box and a couple of display objects. 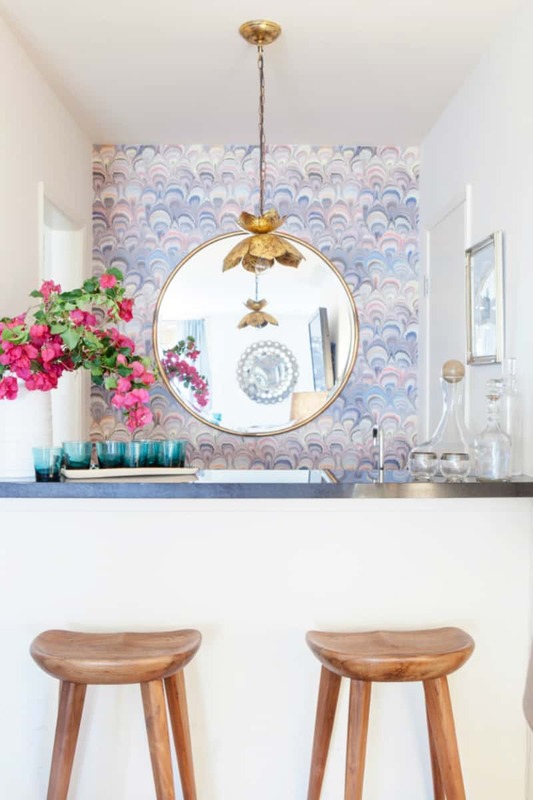 Thanks to the size of a regular home bar, you won’t need a whole lot of wallpaper either, so you can go for fancier brands and more daring designs. 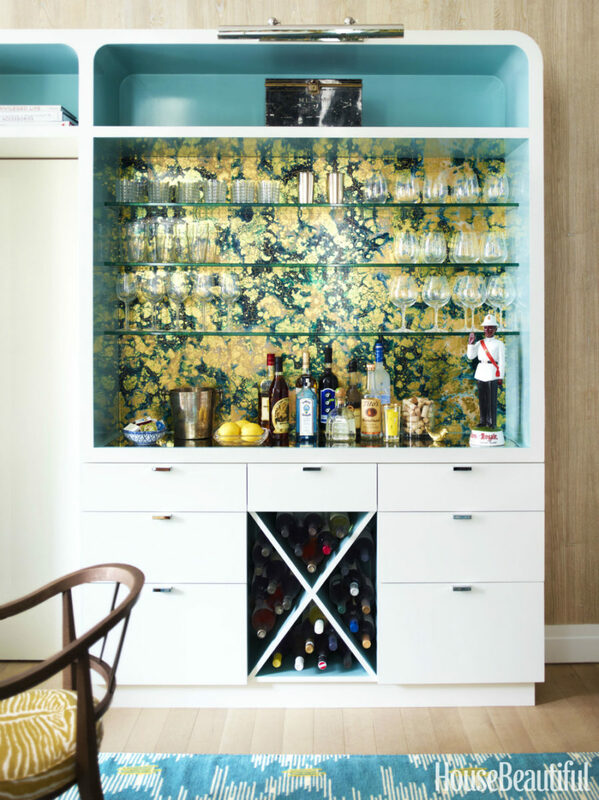 Unique wallpaper design can give your home bar so much flair, you won’t need many accessories to finish off the look. White color scheme, that is so popular in modern homes, can handle different patterns in every color and shade you can find. 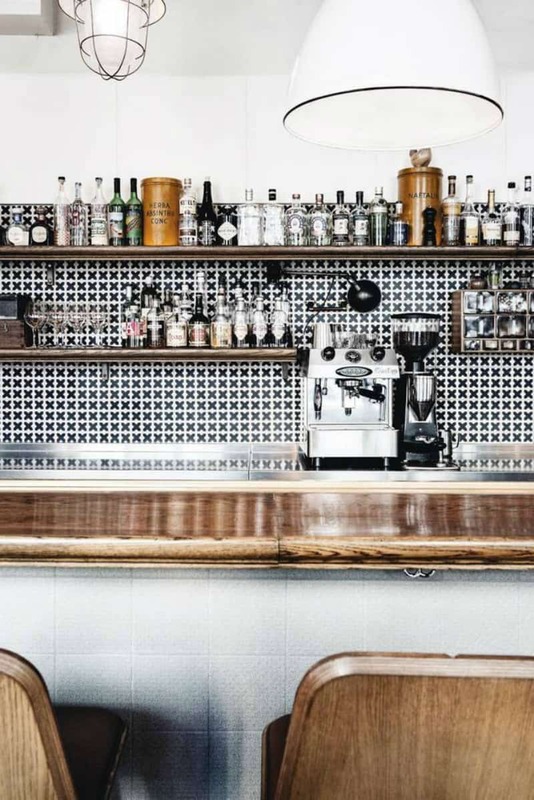 This creative wallpaper makes this one of the best home bar designs we’ve seen. Bar designs aren’t unfamiliar with dark colors. In fact most bars are designed in dramatic black, brown, or navy. You can borrow some drama from those traditional designs to make your own look especially fancy. Here, a white countertop and mirror brighten up the pitch black cabinet to make it more inviting, while the brass accents sparkle with chic. 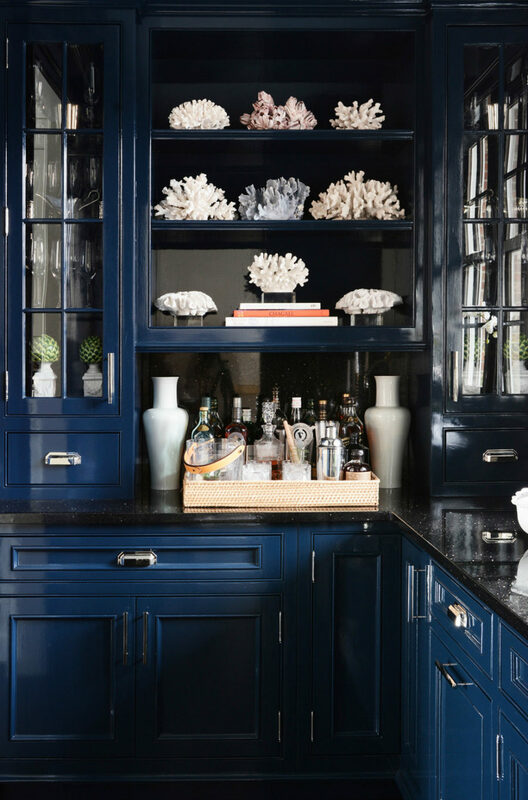 This navy blue bar plays on contrasts with a black stone countertop and white decorations. Although there’s plenty of storage space for hiding the bar, a tray is used to create a neat display of available or open spirits. There is some undeniable charm to mixing entertainment with thought and philosophical discussion. 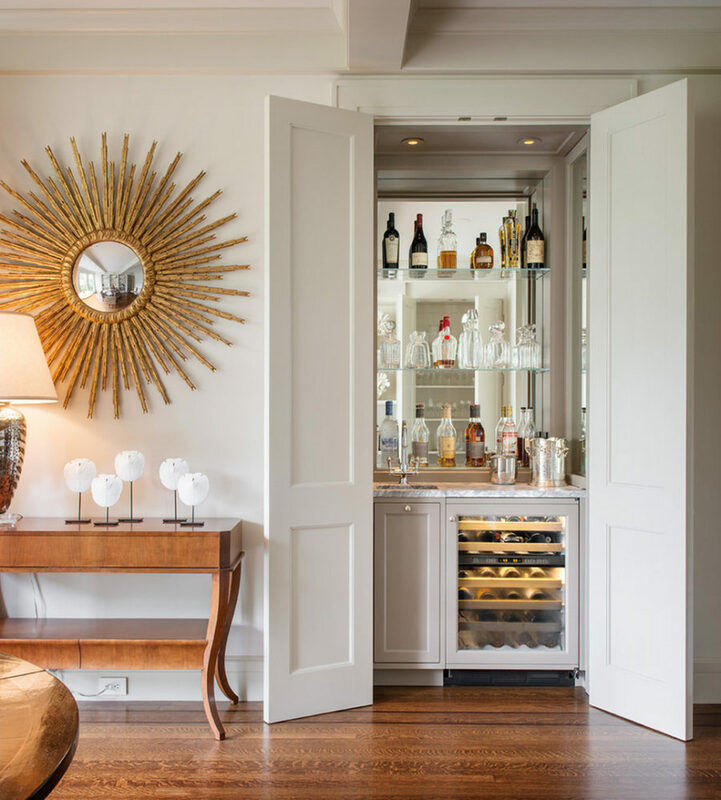 Weaving a home bar into your book collection can prove not only convenient but also luxurious. A patterned rug further promotes the sense of luxury in this interior, breaking the flow of the black walls, furnishings, and dark wood floors. Drama isn’t just in dark colors. 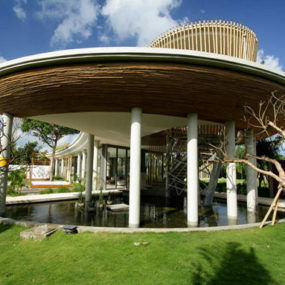 It can also manifest through unconventional styles, furnishings, and accessories. 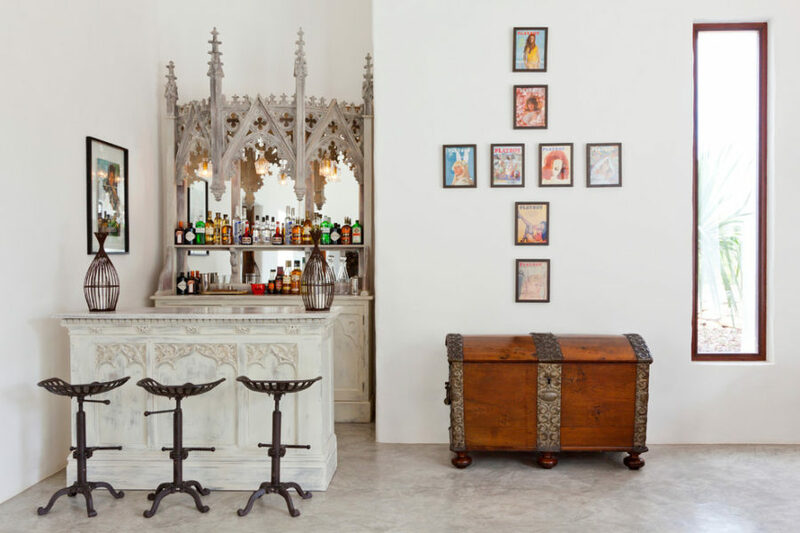 Godrich Interiors mixed Moroccan and Gothic style in this small home bar, and it turned out extraordinary. They also managed to keep it contemporary with framed posters and vertical slit windows. Tractor seat metallic stools look surprisingly fitting here, which is probably due to their intricate shapes. All of this makes it one of the most unconventional home bar designs. If drama isn’t up your alley or perhaps your home decor calls for a breezy home bar design, you can draw inspiration from luxe hotels or tropical resorts and their bars. Go for marble, neutral furnishings, and minimal style. Aggregate set this bar in a wall niche, and used the rest of the space to create a spacious counter. A contemporary minimal kitchen calls for a home bar design that doesn’t differ too much from its general calm atmosphere. 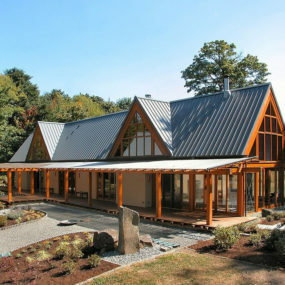 Building one into the other requires care or original planning. 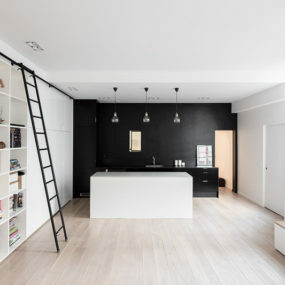 Terrart Elms managed to insert a home bar into a minimal contemporary kitchen without breaking its flow but also giving the bar its character with open shelving and a mirror. Elegant coastal home bar via Parkdale Ave. 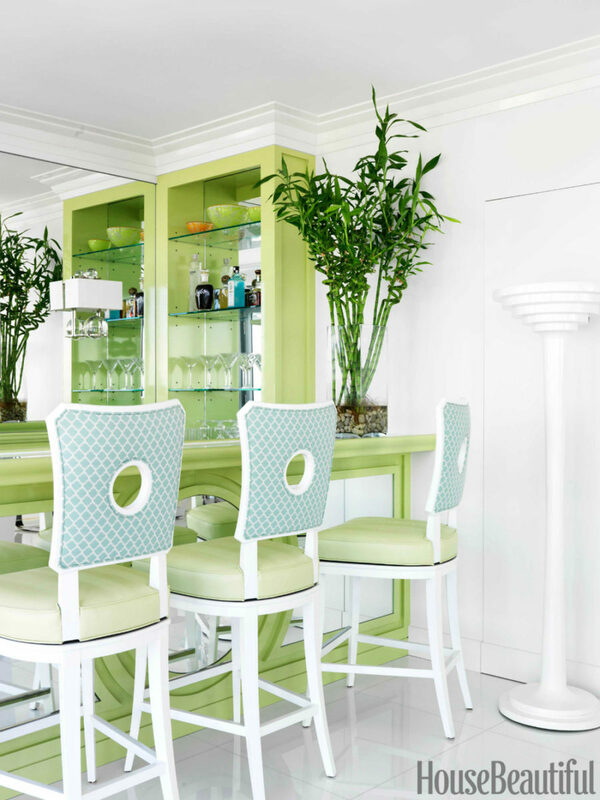 If you’re aiming for a tropical style bar, then you can go with the coastal look. What can be closer to a resort than that? Pale blue gives the place a neutral look, but if you keep adding certain accents and decorations, you’ll achieve the more coastal than plain kind of vibe. 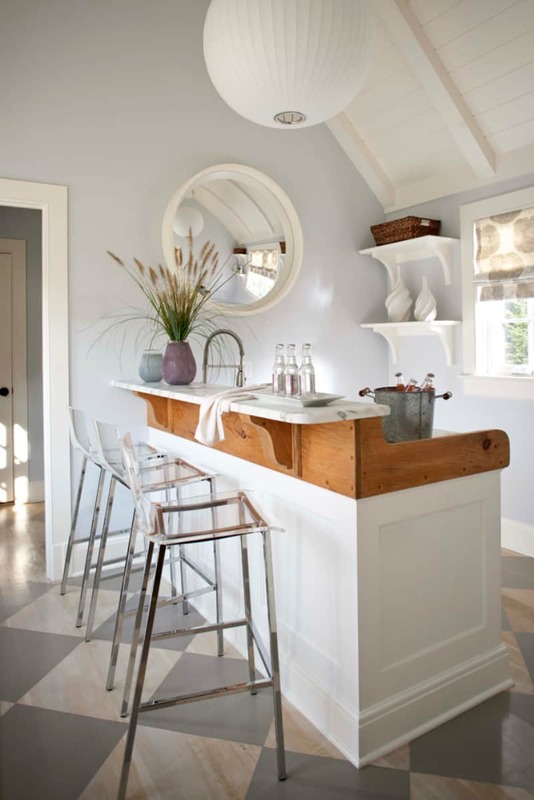 Here, a traditional bar counter is elevated with a touch of natural wood that brings a rustic note to the composition. But the Lucite bar stools keep it contemporary. 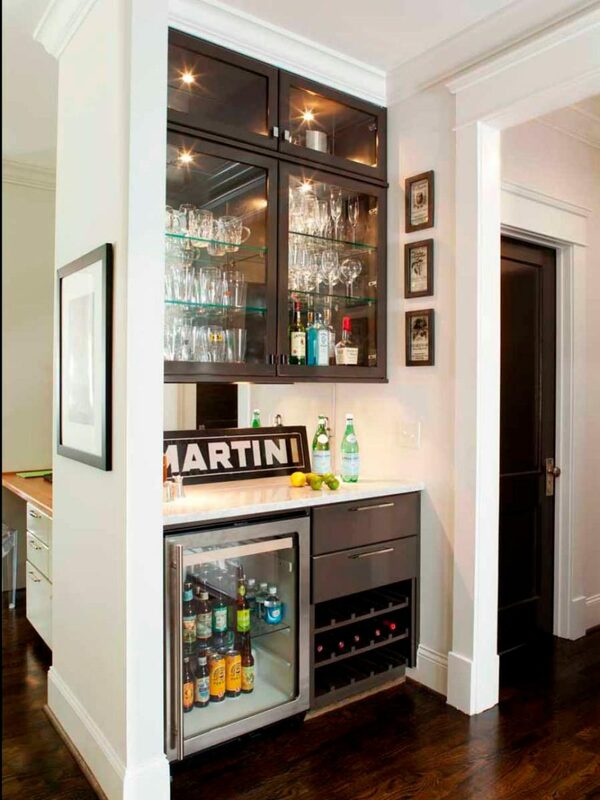 The lack of space may also shape your future home bar, but not necessarily to the worse. 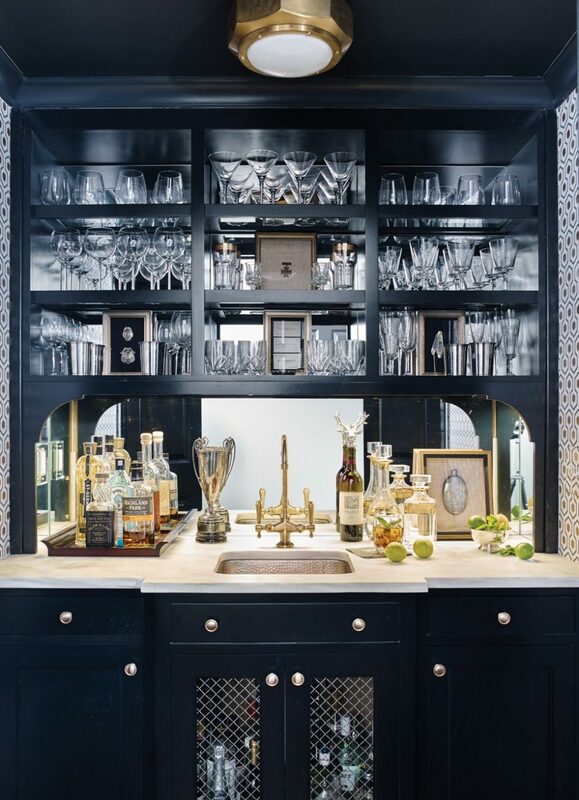 Compact home bar designs can look just as chic and stylish. As always, it’s just a matter of design. 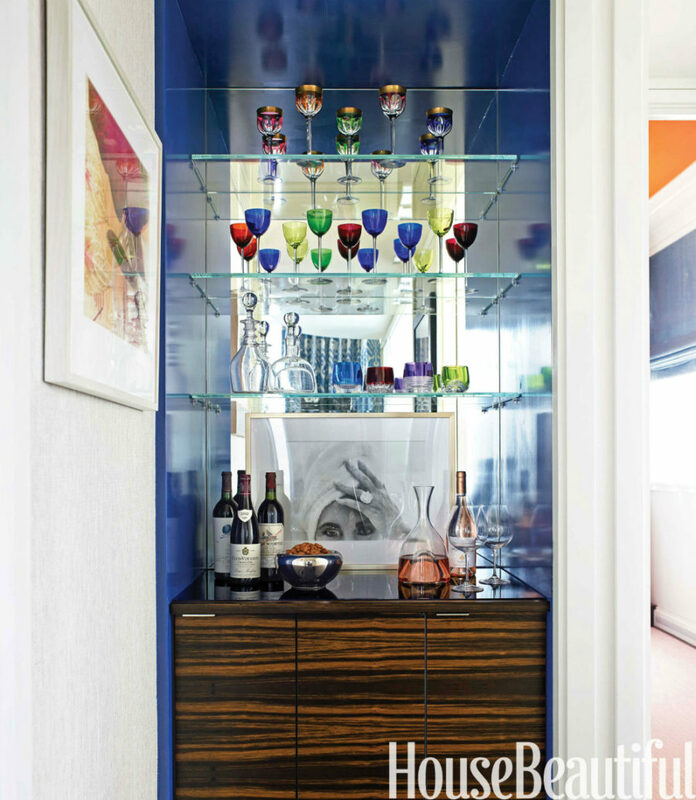 A neon bright (or any brightly colored) cabinet makes the bar stand out. It’s also a chance to tie it in with the rest of the room. 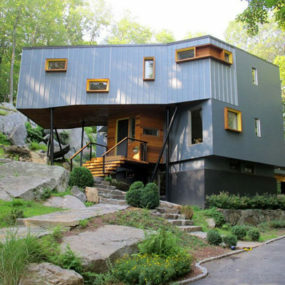 This one coordinates with the artwork’s color scheme. 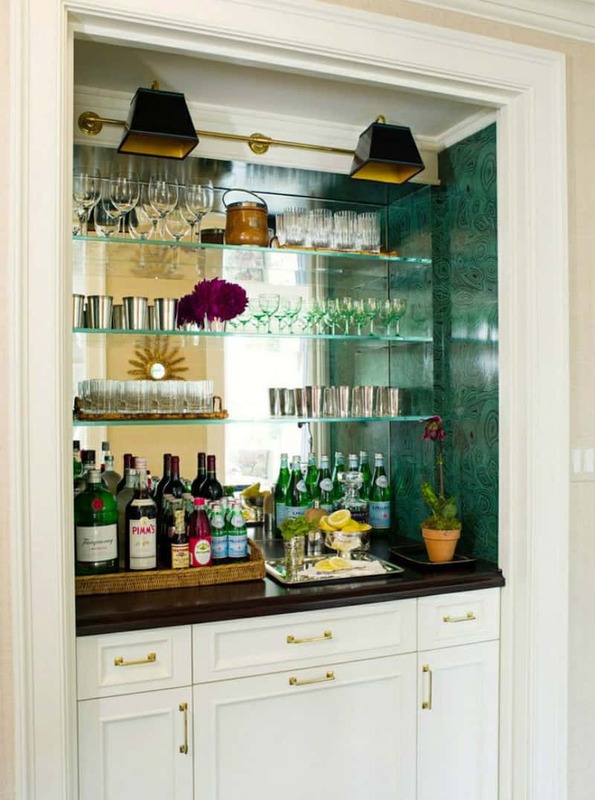 Any transitional space that you would use for storage, but would rather spend on your own home bar, will make a good fit for a compact bar design. Think kitchen entrance, living room corners, and hallways. Instead of a console, you can have a cabinet full of your favorite drinks. A home bar closet is an ideal thing. It doesn’t get in the way, and can disguise behind the closed doors, whenever necessary. Of course, if you don’t have a closet in your living room or kitchen, you could incorporate it into a storage wall, for example. 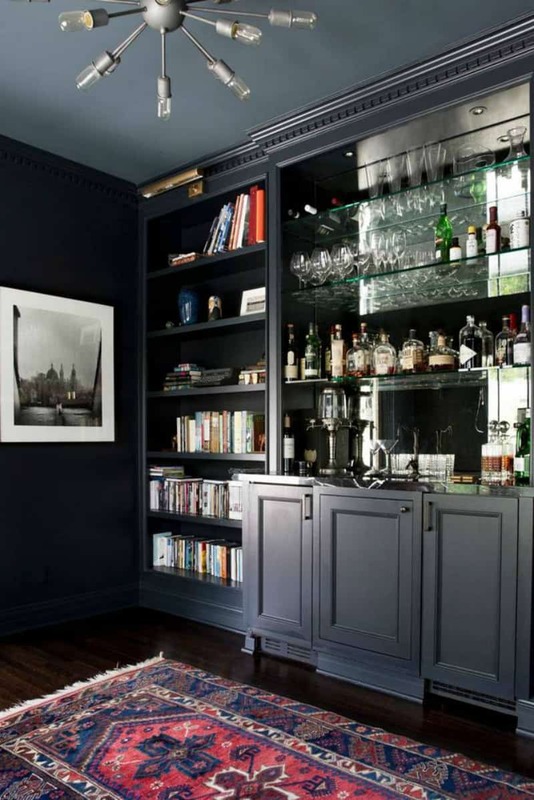 This attractive hallway bar looks special thanks to its Benjamin Moore’s Aura in Midnight Navy paint and colorful glasses. 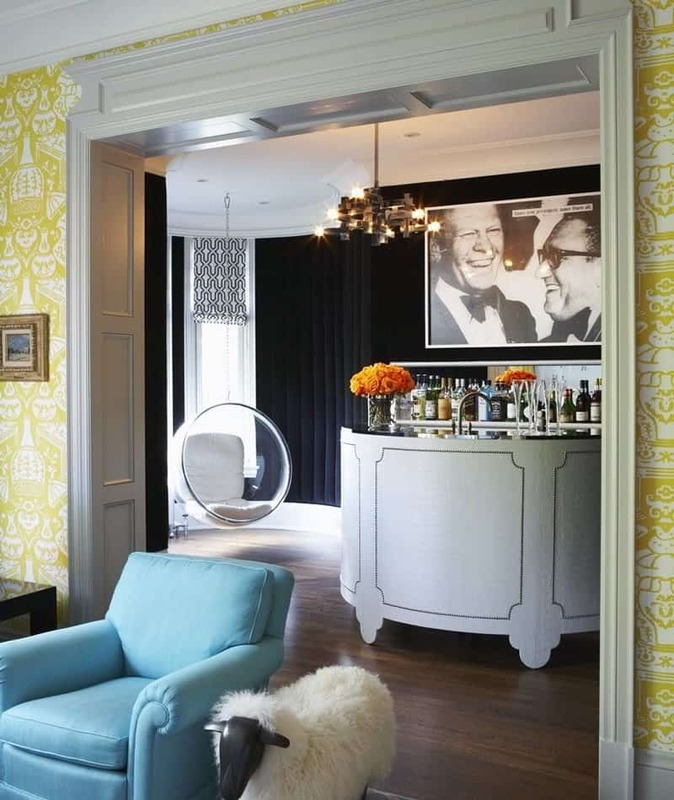 The mirror feature wall enhances space, but a black and white fashion portrait colors it extra chic. 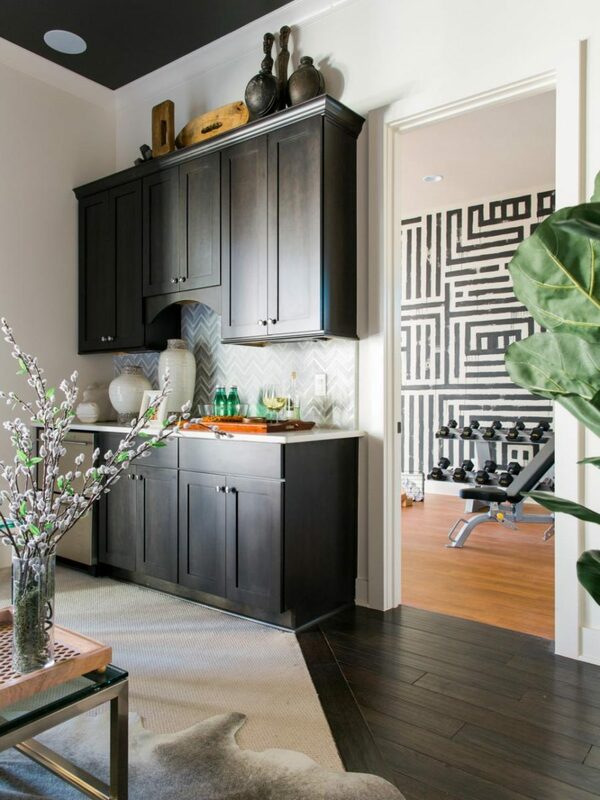 This contemporary home bar found an unlikely neighbor in a stylish exercise room with a graphic wall that adds to the general look of both rooms. Put away the tray, and the bar will look as sleek as a spy, trying not to bring too much attention to itself. 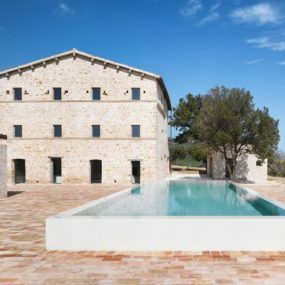 Contemporary style is the best at blending areas of various purposes, disguising them in the general atmosphere of calm and neutrality. To make it stand out Cornerstone Architects went for a wine display and metallic leather stools with a hint of Art Deco. 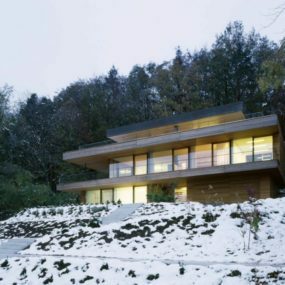 The latter can bring a bit more detail to minimal, sleek contemporary home bar designs. 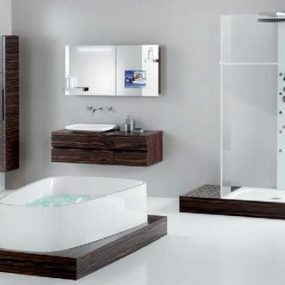 And make a practical interior flaunt a bit more chic. 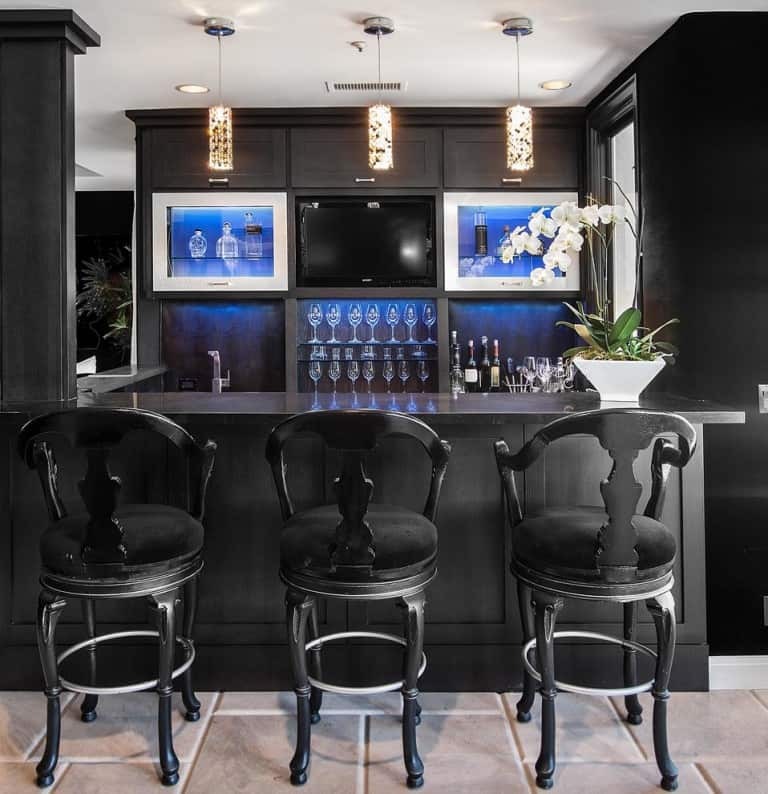 A black furnished home bar, like this one, can look quite dull all on its own, but intricate chairs and blue backlighting instantly give it a boost in appearance. Finally, a home bar in the middle of the room. What can be more luxe? It might be a good idea for basement home bar designs, but if your heart’s set on a freestanding island with face-to-face bar stool arrangement, you might find it practical to use it for more casual purposes like having a breakfast as well. Modern home bar designs combine practicality, function, and appearance, but they’re not as difficult to DIY. All you need is a bit of space and an idea.